Apple has offices located around the Bay Area, in Cupertino, Sunnyvale, Santa Clara, and San Jose, but for the first time, the company is planning to expand into San Francisco. According to the San Francisco Business Times, Apple has leased 76,000 square feet of office space in the popular South of Market neighborhood (SoMa) in San Francisco. Many startups and major tech companies are located in San Francisco, in the very neighborhood Apple is moving into. It is not clear what Apple plans to do with the office space, but Beats Music leases office space in San Francisco, so it's possible Apple will house its Apple Music employees in the city. Though Apple's offices have long been located in the South Bay, many employees live in the city and face a daily hour-long commute by car or Apple bus, so San Francisco office space for at least some of the commuters will likely be welcome news. The ability to work in San Francisco could also help Apple recruit key employees that are reluctant to work outside of the city. In the building Apple plans to sublease through 2022, employees will share office space with CBS Interactive, the main tenant. The 76,000 square foot space could accommodate an estimated 400 to 500 employees. It's not known what Apple is paying to rent the space, but SoMa is one of San Francisco's most expensive areas due to its popularity with tech companies. On average, rent in SoMa costs $66 per square foot, so Apple is likely paying millions of dollars per year to occupy the space. News of Apple's San Francisco lease comes shortly after news that the company leased 300,000 square feet of space in North San Jose. 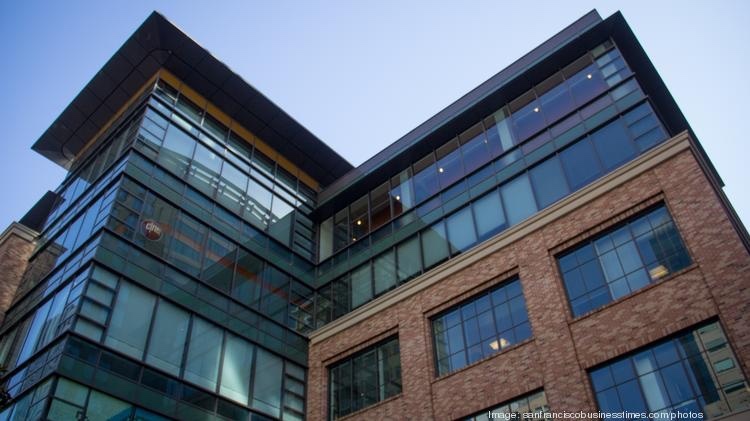 Apple also recently expanded into Seattle, leasing office space in a popular downtown area. I can't believe Apple are expanding when there are features they could be improving on their products! :mad: As we know, there is only one person at Apple who does everything. Taylor Swift is really working overtime. This move seems to be geared towards keeping up Apple's image as much as convenience for those that live in SF. The only convenience I can image is for those at Apple that setup the annual SF events like WWDC, and others. Frankly I seriously doubt that there's many Apple employees that actually live in one of the most expensive, small, heavily crowded, major metro cities in all of the USA. Once a resident myself, right out of college, I enjoyed SF prior to the high tech invasion which drove the already high prices to astronomical highs that are causing major issues today. With it's astronomical real estate prices for eighty to one hundred year old homes, the few people I know that grew up in SF, fled (like I did) to the peninsula as adults where for the same amount or less they could have three times the square footage, a far newer if not brand new home with ample parking, and still have the high end image. It will be interesting if Apple keeps it's operations there secret, or mentions just what departments they have moved there. I'd venture a guess if they comment it will be one of their carefully crafted statements just to get the press off their back. In many ways it's a surprise that they failed to do this before the ultra staggering lease factors hit. According to a 2013 report cited by San Francisco Business Times, 14 percent of Apple employees live in SF. That's a pretty good chunk. The building is right by the Yerba Buena Center. Frankly I seriously doubt that there's many Apple employees that actually live in one of the most expensive, small, heavily crowded, major metro cities in all of the USA. You obviously haven't been to SF 2.0? You doubt it ? LOL what ?? You are very misinformed I have to say. I know quite a few people who live in San Francisco and commute down to Mountain View or Cupertino. Most of the big companies have a presence inside the city for those who prefer city living. City living isn't about how much space you have. Sure, I could move out of the city and get an entire house instead of 1 BR apartment. But, I wouldn't be able to just walk to work or walk out my door to thousands of events. Parking isn't an issue when you live in a city. I don't own a car, and only know 1 person who does. This is why companies like Google and Apple provide shuttles. Yes, it's absurdly expensive here. But San Francisco has the best tech jobs in the country. I could make a few phone calls and have dozens of offers in a few days. It's a very strong employee market. Don't believe me ? Try to hire a dev in San Francisco and see not only how hard it is, but how high their pay requirements are. If you thought the commute from SF to Cupertino was bad, try the commute from Syria to Cupertino. Siri: "Where would you like to go"
Siri: "Siri, er...Please would you make up your mind!" Easy to say when a big one hasn't happened in so many years. ... there are faults lines all across the Bay Area, and many other factors which go into where and how damage is most severely experienced. There is no reason at all to assume there is more likely to be an earthquake which damages this building as one that could potentially decimate the new spaceship campus. The HP buildings that were previously on the site of the new spaceship campus were actually slightly damaged in the '89 earthquake. I think an A/C unit was reported as partially falling through one building's roof. Someone in the HP parking lot reported seeing the street ripple like an ocean wave as the earthquake first propagated by. Apple employees will enjoy riding the next one.